Built by Scott's Shipbuilding & Engineering at Greenock, Scotland, Letitia was launched in February 1912, and made her maiden voyage, from Glasgow to Montréal, on 4 May 1912. 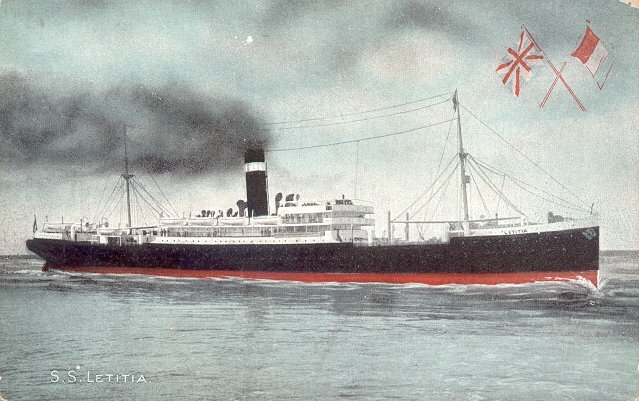 During World War I, Letitia was taken over for use as a hospital ship. 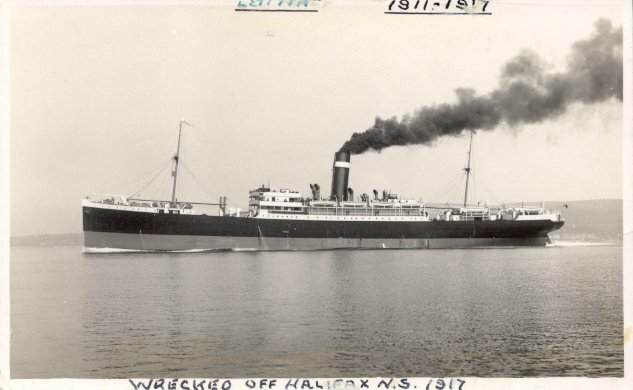 While serving in that role, she was wrecked on rocks at Portuguese Cove, Chebucto Head, Nova Scotia on 1 August 1917. Although she was on repatriation mission, carrying home wounded Canadian troops, there were no fatalities. Source: Williams' Wartime Disasters at Sea; Bonsor's North Atlantic Seaway.